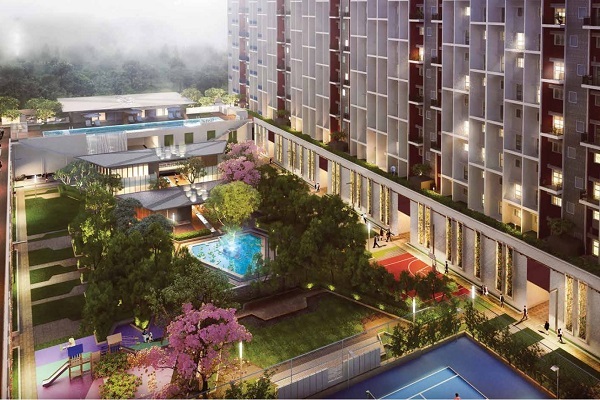 “Godrej Hinjewadi codename 24×7 ” – is a residential project by Godrej Properties coming up at Hinjewadi, Pune. It is an assemblage of homes designed for upwardly mobile Indians built to suit their global ambitions. There is a home for every type of resident; like the ones who want to stay with the community or away from the crowd. The Project’s initial response is “Huge” to say the least !. Its walk to work in true sense of the word. To cater to the residential demand of the migrating IT population, Hinjewadi is witnessing several proposed and ongoing development of residential projects, serviced apartments and five star hotels. With excellent means of road transport, Hinjewadi connects to Pune which is about 25 minutes to an hour’s drive while the International Airport is about a three-hour drive away. Mumbai- Highway also connects Hinjewadi to the Airport which is about a 45-minute drive away.This location is highly attractive due to its proximity to the industrial belt of Pimpri and Chinchwad. This has also facilitated residential development of nearby areas like Wakad, Balewadi, Aundh and Baner.